Spencer with his current favorite toy. Lately, when I try to take his picture, he insists on having me take a picture of hiccup first. Sometimes, those shots end up better than the ones of him. 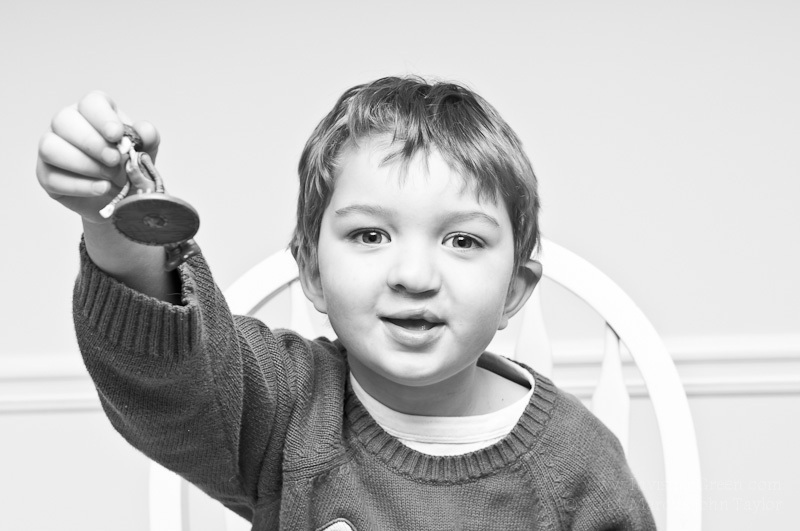 hes a cute kid, love the light and crispness of the b/w.